A change of plans: instead of airing the interview with comrades in Yogyakarta about May Day repression of anarchists there, we’re including that in the radio show for next Sunday. So, instead, kick back with this new issue of #Error451 ! 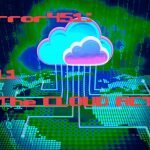 The CLOUD Act (Clarifying Lawful Overseas Use of Data Act) got passed by the U.S. Congress earlier this year and signed into law by President Trump. It’s a revision of the 1986 Stored Communications Act. Basically, it allows U.S. cops from local up to Federal to request data belonging to persons of interest that is stored on overseas servers from the private corporations or organizations storing it. If the U.S. executive makes an agreement with the foreign power where the data is stored, that power also gets a degree of access to the data of persons of interest to the overseas powers. Basically, governments can more easily spy on folks around the world! We talk a bit about the implications of the Act, how it came to pass and the types of practices and services folks can engage to help protect themselves from some of these government excesses. Check out past episodes of Error451 and hit us up if you have ideas for segments or guests you’d like to hear from. Check out our contact page!